According to newspaper reports, James Bond alumni Rory Kinnear has been approached by the BBC to take over the title role for its 50 year old sci-fi television series 'Doctor Who'. 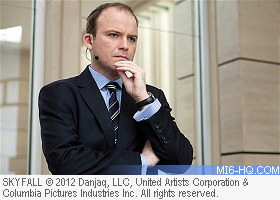 Kinnear has played MI6 chief of staff Bill Tanner in the latest two 007 outings: "Quantum of Solace" and "Skyfall". English actor Matt Smith announced last weekend that he would bow out as Doctor Who in the Christmas special. The Telegraph claims that Kinnear has been asked by the BBC to take over and become the 12th Doctor.